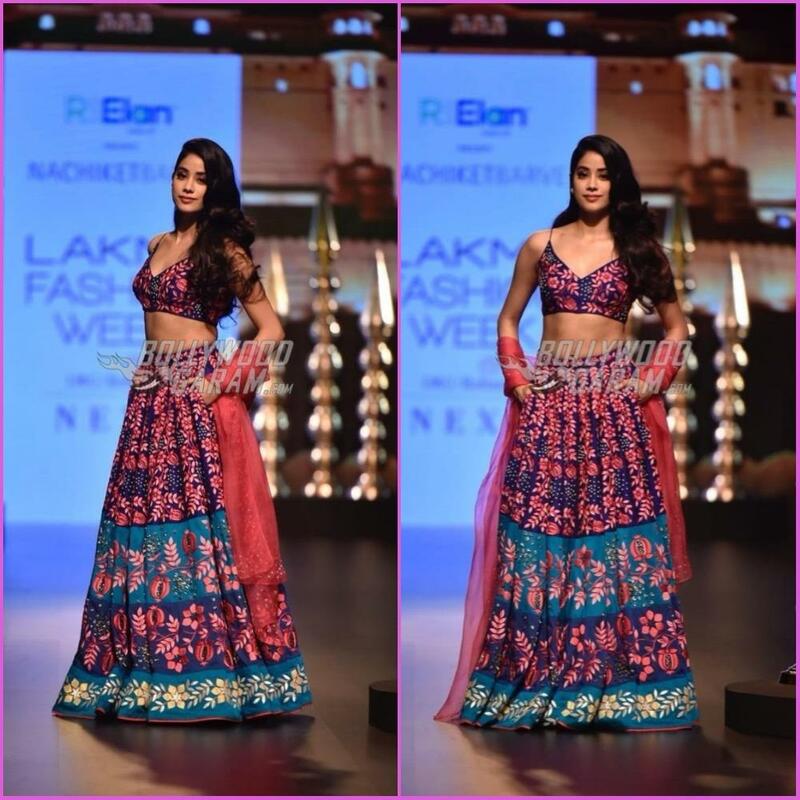 Bollywood’s young actress Janhvi Kapoor looked gorgeous as she turned showstopper for designer Nachiket Barve at the Lakme Fashion Week Winter/Festive 2018 in Mumbai on August 24, 2018. 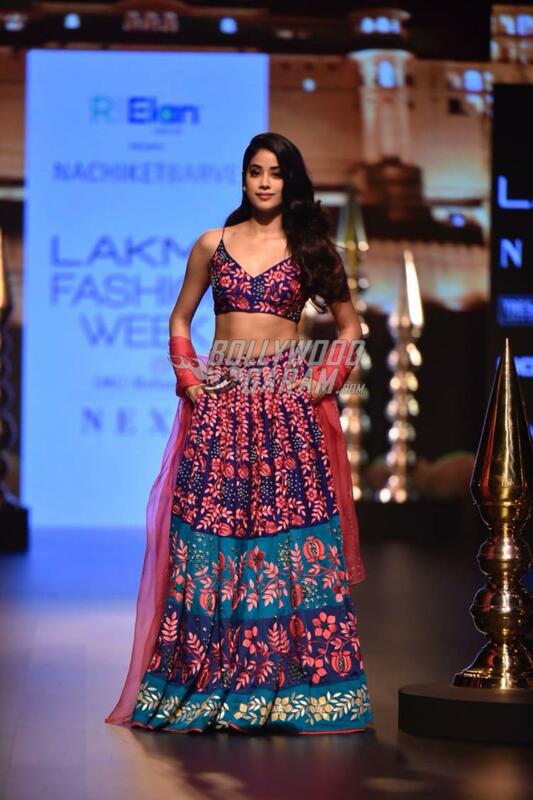 The Dhadak actress dazzled in a pretty lehenga which had floral prints in blue and pink. 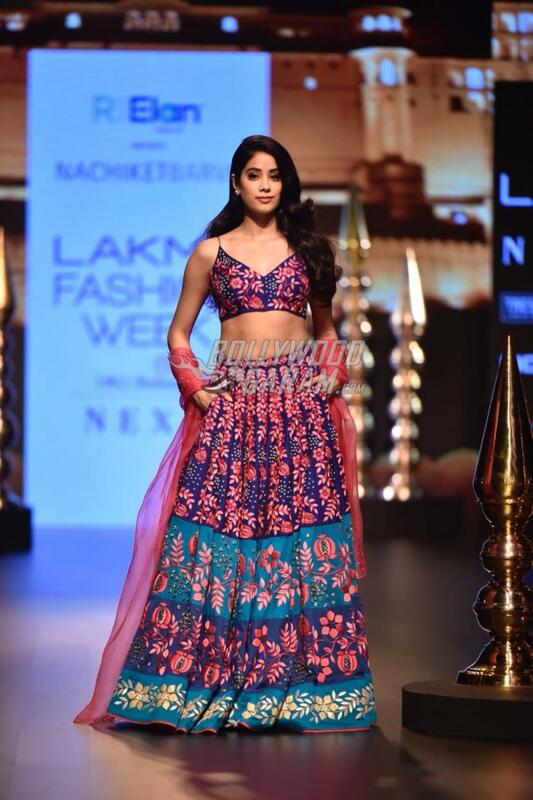 Her look was completed with a sheer strawberry pink dupatta while her make-up was kept simple yet elegant. 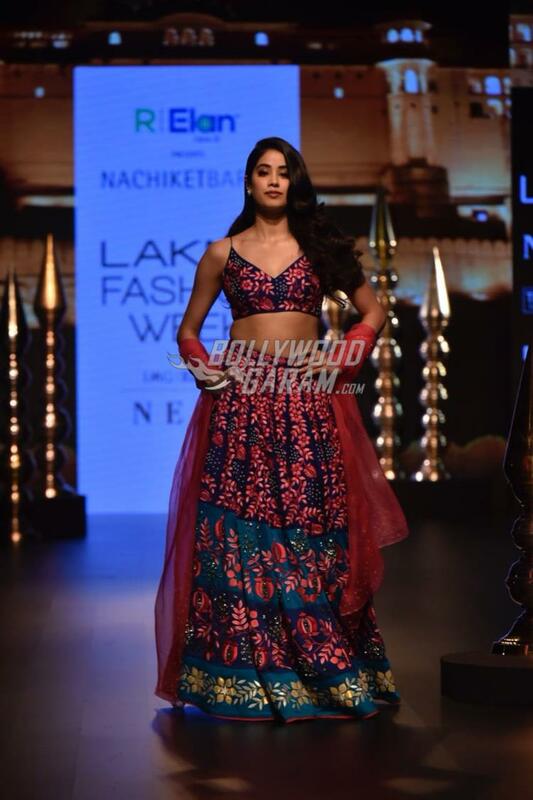 Janhvi walked the ramp with confident and oomph and posed for the cameras. The Lakme Fashion Week Winter/Festive 2018 started off on August 22, 2018 and provides a platform for the designers to showcase their skills with some beautiful outfits. 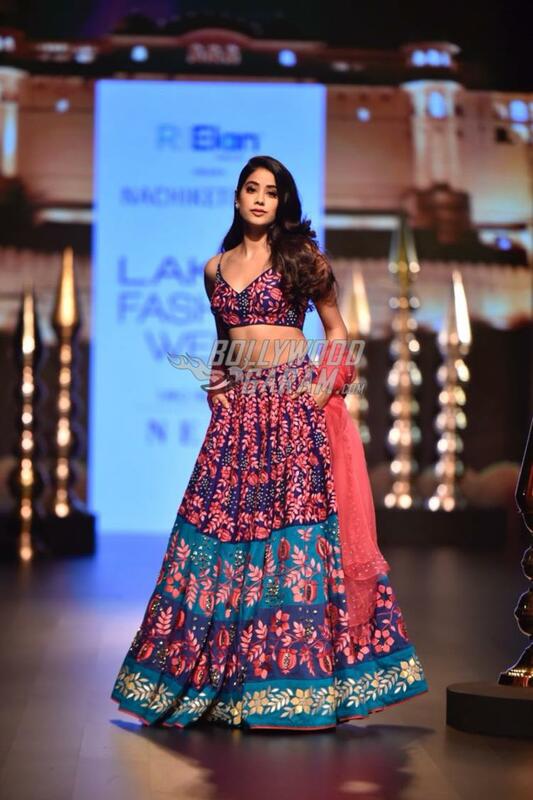 It was in February 2018 when Sridevi had walked with daughter Janhvi at the grand finale of the Lakme Fashion Week 2018 for designer Anamika Khanna. 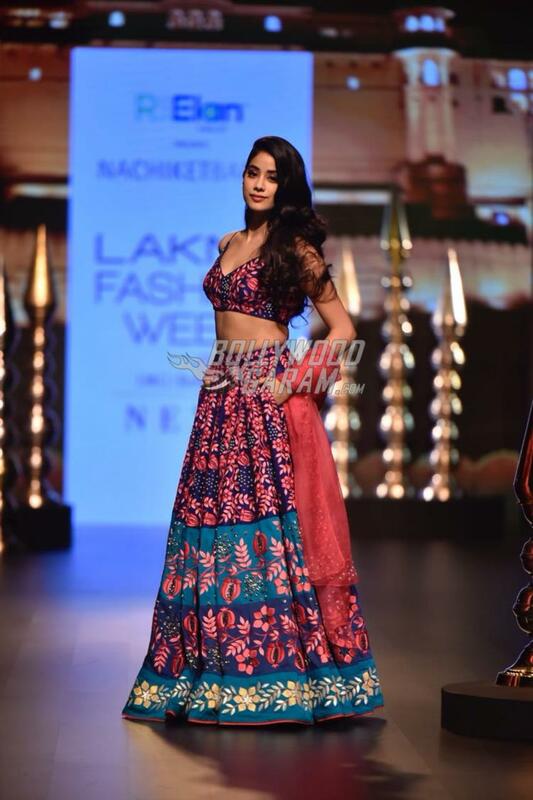 On the work front Janhvi made her debut in Bollywood with the film Dhadak which also starred Ishaan Khatter. The film was released on July 20, 2018 and had a successful run at the box office.